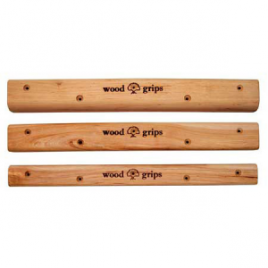 Metolius’ wooden campus board rungs are unsurpassed for feel and consistency. Individually hand sanded, each rung has an incut side and a flat side. Custom tooling gives these rungs comfortable smooth shapes. Pre-drilled. Check Amazon’s prices. Check eBay’s prices.